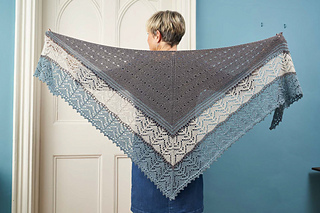 This effortlessly elegant shawl will also grow your confidence in correcting mistakes in lace. 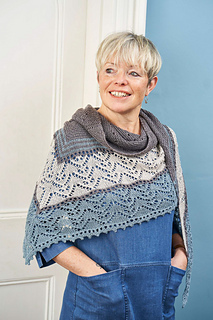 Joji’s Sterlyn Shawl is the second project in Boost Your Knitting, a programme to help you grow your knitting skills. The pattern files and project photos will be uploaded on Monday 1st April 2019 (mid-morning UK time). 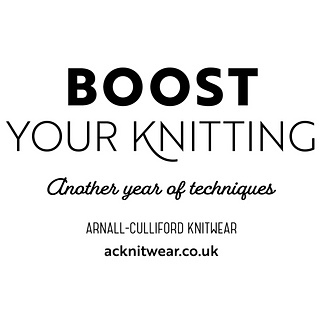 You can purchase Boost Your Knitting from Arnall-Culliford Knitwear and for £30.00 (which includes worldwide shipping) you will receive digital photo tutorials and patterns each month, along with a copy of the print book in September 2019. 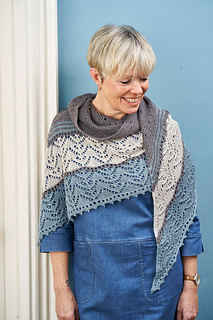 The complete programme consists of twelve tutorials and patterns in pdf and print format, video tutorials and a 10% discount code for the Arnall-Culliford Knitwear online shop (not valid on kits, and not valid in conjunction with any other offer). The wingspan is stretched more than the depth to give a wearable shape. 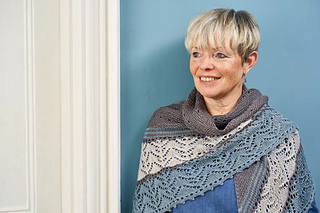 This beautiful lace shawl starts with a garter tab cast on, and increases positioned at the ends of the rows and in the centre create the triangular shape, growing from the centre back neck. 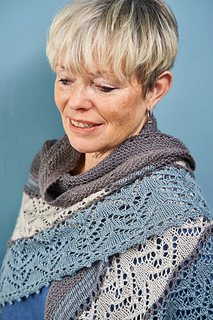 The centre is worked in a garter stitch based pattern with eyelet rows, completed with a series of stocking stitch stripes. 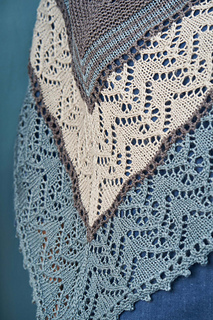 The shawl is completed with two wide lace borders in contrasting colours, followed by a picot cast off. Regularly adding a lifeline to your work is highly recommended as a way of “backing up” your progress.